Brass Door Knocker. Brass and a Rock. Sometimes lo-tech is the most beautiful solution. 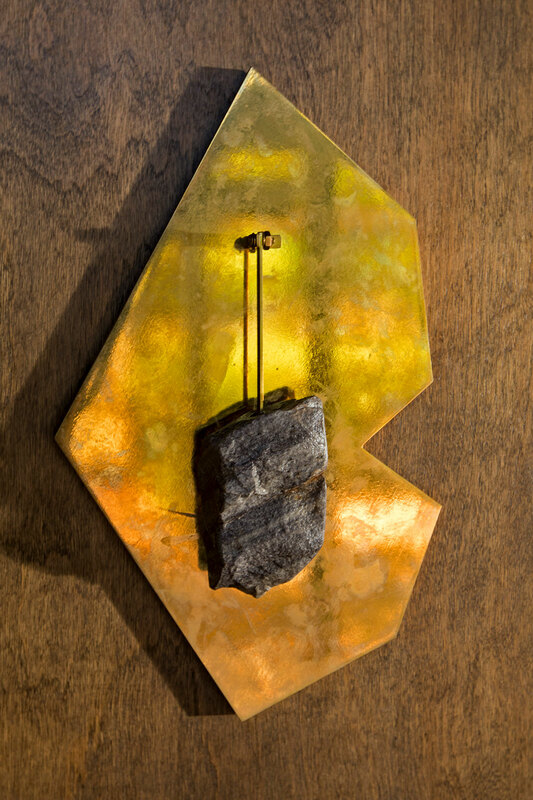 Can be made in brass or stainless, in any number of shapes, and an infinite variety of rocks are available. As shown $$1,200.